It's no surprise that the "sirtfoods" diet trend — featuring dark chocolate and red wine — is rumored to be a hit with celebs like Adele and Pippa Middleton, but nutrition experts aren't as enthusiastic. Sirtfoods like green tea, wine and dark chocolate purportedly activate sirtuins, proteins that are known for regulating inflammation and may help burn fat. But the diet also calls for only eating 1,000 calories a day for the first week. If you're curious if the diet delivers on its promises, keep reading as the experts weigh in. Does Sirtuin Activate a "Skinny Gene"? "The diet claims eating sirtuin-boosting foods, such as those high in polyphenols, will activate a 'skinny gene' pathway usually induced by exercise and fasting. One of the claims is you will lose seven pounds in seven days — rapid weight loss is always appealing," says Kristen Smith, RDN, spokesperson for the Academy of Nutrition and Dietetics. Sounds great, but does the sirtfood diet have a solid scientific basis? "Short answer: no," says Ginger Hultin, RDN, another spokesperson for the Academy of Nutrition and Dietetics. Despite some preliminary research, Hultin notes: "A sirtuin-activating diet for weight loss is not yet scientifically proven." Toby Amidor, RD, nutrition expert and author of The Healthy Meal Prep Cookbook, agrees. "The science sounds enticing, but in reality there's little research to back up these claims." The quick weight loss at the start of the diet plan may have more to do with calorie restriction than sirtuins. While it may not be a diet that's healthy to follow to the letter, there are plenty of good reasons to include many of the core sirtfoods in a weight-loss plan, including kale, berries, ginger, turmeric, green tea and olive oil. Here's a primer on some of the top sirtfoods — just be sure to enjoy them in the context of a balanced diet with a variety of other healthy foods. In the world of sirtfoods, chia seeds are noted to be a moderate sirtuin-activating food that the authors of The Sirtfood Diet describe in their book as the equivalent of taking a walk versus getting in an intense sweat session at the gym. Whether its claims hold water or not, there's no debate that chia seeds pack an unbelievable amount of nutrition into a small package, making them an efficient way to load up on shortfall nutrients like fiber (11 grams per ounce, or 44 percent of the daily value) and heart-healthy omega-3 fats (five grams per ounce). Chia is also a good source of plant protein. Just sprinkle them over a smoothie bowl, add to smoothies or mix into oatmeal. In research presented at the 2017 American Society for Biochemistry and Molecular Biology annual meeting, researchers used a computer model to see if cinnamon activated sirt-1 and found promising connections. This doesn't prove anything yet, but it's an interesting building block for future research. But cinnamon still makes the sirtfoods list because it offers powerful polyphenols, which are plant compounds with antioxidant and anti-inflammatory properties. And there's some research that appears to suggest that cinnamon can help control blood sugar by slowing carb digestion and improving how the body responds to insulin. It goes great in coffee, hot chocolate, collard greens, roasted squash, soups, smoothies and spice rubs for lean pork. The proposed sirtuin-activating nutrient in cocoa is epicatechin, a powerful kind of antioxidant also found in tea and grapes. In a 2016 animal study, cocoa increased sirtuin-1, though keep in mind that the leap from mouse to man is a big one. As a polyphenol-rich food, pure cocoa promotes healthy blood flow, which is important for nutrient and oxygen delivery as well as overall health — not that you needed another reason to enjoy chocolate. Just remember that the benefits are from the cocoa plant, not all the added sugar, salt and fat in processed candy bars. Look for the highest percentage dark chocolate you can find to reap the most benefits. 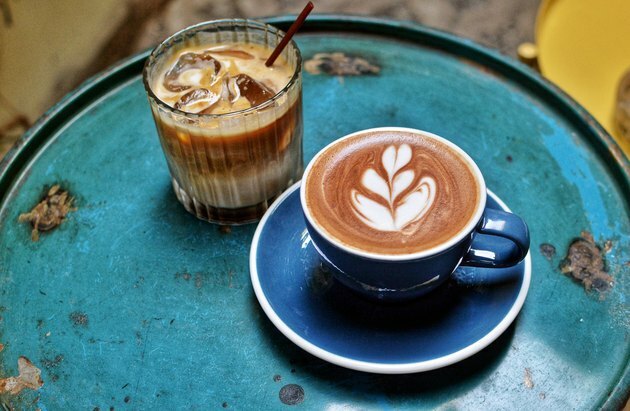 Coffee is the top source of antioxidants in the U.S. diet. Its sirtfood cred comes from its polyphenol, caffeic acid. An animal study of caffeic acid (and another antioxidant polyphenol in coffee, chlorogenic acid) found that it caused obese mice to lose weight, including belly fat. It also lowered insulin, triglyceride and cholesterol levels while increasing the oxidation of fatty acids and blocking the creation of new fat cells in the liver. While this study was done in mice, not people, the results suggest that coffee contains compounds that could theoretically help improve body weight and how well the body breaks down fat. The supposed sirtuin-activating polyphenols in extra virgin olive oil are oleuropein and hydroxytyrosol. What we do know is that olive oil is a key component of the heart-healthy Mediterranean diet, which can also support a weight-management plan. It's rich in monounsaturated fats, which improve cholesterol levels when it replaces saturated fat or refined carbs. Extra-virgin varieties will have the most complex polyphenol profiles, though they diminish with air, heat and time. Many bottles will have a harvest date so you can seek out the freshest olive oil. A cousin to turmeric, which is also on the sirtfoods list, ginger has a bold flavor. It contains gingerol, which has anti-inflammatory and antioxidant characteristics. It's long been used as a natural remedy for motion sickness, and it may help with nausea and dizziness in general. The famously long-living healthy populations in Japan may be onto something with their love of tea. Green tea is included as a top sirtfood because of its antioxidant epigallocatechin gallate (EGCG). The Sirtfood Diet authors especially recommend the powdered matcha green tea form. Whether they prefer green, white, oolong or black, tea drinkers tend to have lower bad LDL cholesterol and more good HDL cholesterol. Regular tea also comes with some caffeine for an added boost. Enjoy it blended into smoothies or as a poaching liquid for cod — or simply have a cup as part of your morning ritual. Raspberries and other berries, such as strawberries and blackberries, have supposed sirtuin-activating polyphenols. It certainly comes as no surprise that berries are antioxidant superstars. Raspberries in particular boast quercetin and gallic acid, and strawberries are notable sources of fisetin. Fresh summer raspberries are excellent on their own, and frozen raspberries can be conveniently enjoyed year-round in a crowd-pleasing smoothie or an unexpectedly fresh salsa. Both are rich in fiber and vitamin C.
Kale's key antioxidants in the sirtfood diet are kaempferol and quercetin, which have been studied mostly in labs and animals for their anti-inflammatory effects. No doubt they're doing some free-radical battle on your behalf. And as if that wasn't enough, a cup of kale has double the day's vitamin A and more vitamin C than an orange. Remove stems, roll and slice crosswise into ribbons (chiffonade) before massaging for a few minutes with your favorite dressing. Add these marinated kale ribbons and whatever fruit you have around with your favorite grain, such as farro, wheat berry, sorghum or freekeh, for a quick and healthy whole-grain salad. 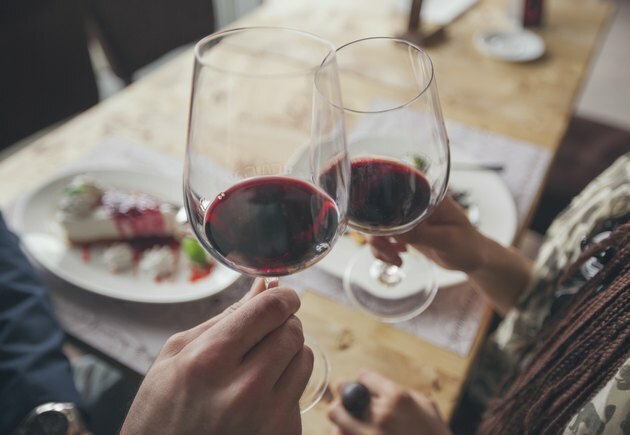 Red wine made its name in health circles for containing resveratrol, a polyphenol that may activate sirtuins, according to early animal studies (though, just as famously, in amounts unrealistic for consumption). Observational research in humans suggests that moderate intake could have health benefits for older adults, especially for heart health and potentially for longevity and brain health too. As a traditional part of the Mediterranean diet, it's meant to be enjoyed with food in appropriate amounts (e.g., one five-ounce glass for women per day). Of course, it's not right for everyone, and there are many other ways to eat and drink for good health for anyone who prefers to abstain from wine for any reason. Turmeric is the golden child of healthy foods these days. It looks like ginger, but it's the hue of sweet potatoes inside. Turmeric is a key ingredient in curry powders, and the active ingredient is curcumin, an anti-inflammatory and antioxidant compound. The body doesn't absorb it very well, which is why it's a good thing something as simple as black pepper enhances the absorption by 2,000 percent. Enjoying it with some healthy fat will also help the body absorb this fat-soluble antioxidant. Make your own "golden milk" by whisking almond milk, coconut milk, turmeric, black pepper, ginger and honey (optional) over gentle heat. Sprinkle cinnamon on top and enjoy. The sirtfood diet does not condone added sugar, but Medjool dates, which contain the polyphenols gallic acid and caffeic acid, are allowed. While sugary sweet, a 2011 study published in the Journal of Nutrition found that date consumption did not noticeably raise blood sugar and was even associated with lower rates of diabetes and heart disease. Toss back four dates and you'll have met 30 percent of your daily fiber intake. They're also a good source of potassium, a shortfall nutrient in the American diet that helps with hydration, muscle contraction and carbohydrate metabolism. If you've trained your palate away from overly sweet flavors, you may want to pit and dice up some dates and add them sparingly to savory dishes like curries, grain salads and pan sauces for roasted chicken.